Referral marketing isn’t exactly a cake walk. Many companies consider it a simple solution that they can create easily, but in reality referral marketing programs are complex. A lot of effort goes into planning and maintaining a referral program. Many companies begin their programs with a blast and see express interest from fans and influencers, only to see that interest die over time. 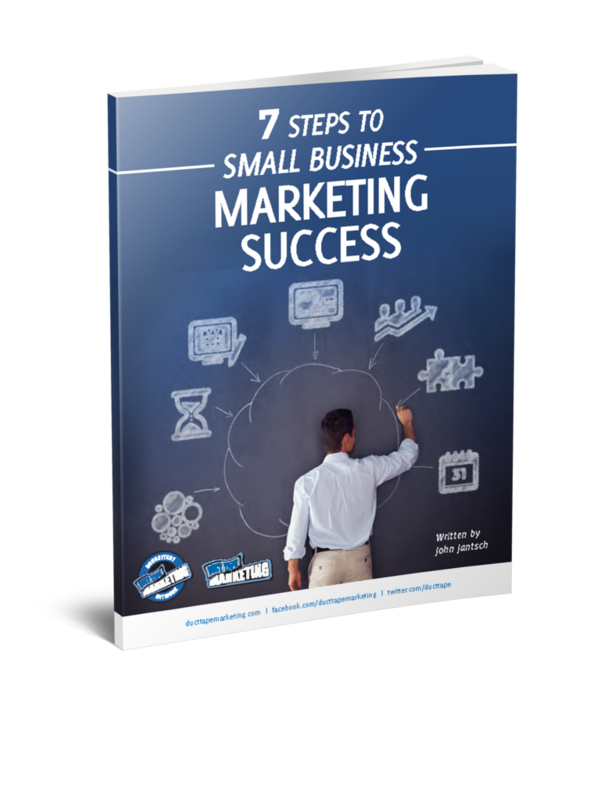 This is a list of 6 alternative ways to keep your referral marketing program going strong. To crack this problem, you first need to understand what would motivate your audience to make referrals. You can test the idea with a contest before implementing it on a referral marketing program. 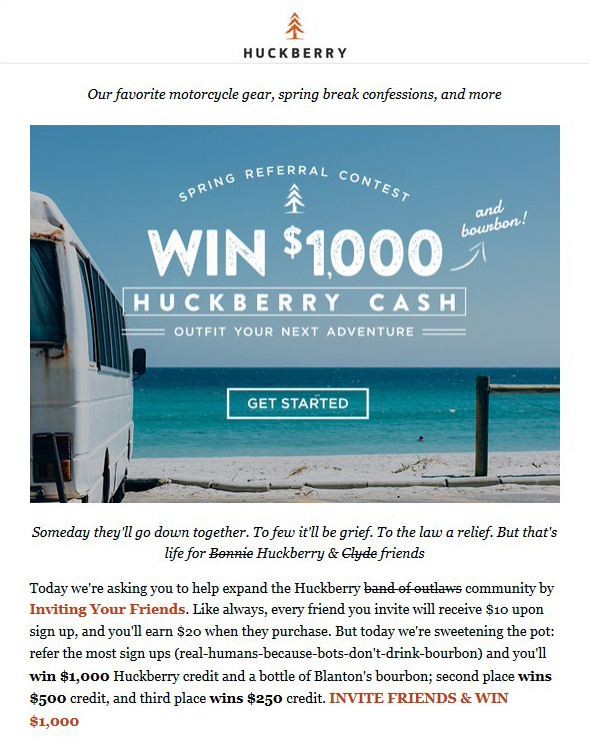 Huckberry not only offered every referrer that participated in the contest $10 but also rewarded the person who gave the most referrals with $1000. They also had fun bonuses for the second and third place winners. The way they announced the contest also made a difference in how well it was received. Your employees are a great source of referrals. In fact, there is research to prove that employee referrals not only convert more often but also stay engaged with the company long-term. If you are already running an employee advocacy program for your business, you can simply add referral marketing content to the mix or run a separate referral marketing program using your employee advocacy platform. When employees add their own voice to content, referrals become more compelling. Piquing audience interest in your referral marketing program is just the first step, you should ideally think about conversion optimization as well. Your audience is already doing you a favor by participating. You don’t want to make the experience rough for them. Auto-fill forms where possible. Don’t expect your audience to fill in a lot of information. In fact, the best forms are very simple. Don’t request additional information that you wouldn’t even use. Also, make it super-easy for participants to share that link. Use a single social login with auto-generated social post text, or allow participants to send instant emails. Make the process accessible and easy. So what if you have decided to run a referral marketing program? How will it work unless your audience is made aware of its existence? Saas companies are earning referrals in new ways these days, and some of them can be interesting when applied to your business. Some Saas companies are getting bloggers to display their referral links on blogs with active readerships. Blogs are permanent and can give your programs extra-visibility. If you target groups match a blog’s audience, you are likely to get a lot of referrals by posting your referral link on the blog. You could also create social media posts with your referral link in it, or offer it to social media influencers to amplify your referral marketing program. Additionally, you can add referral program info under your email signature and on your invoices. Referral programs aren’t auto-functional. Many companies create referral programs and forget about them. Sometimes, developers run late on delivering tech support and analytics for referral programs, and the company’s efforts fail. Marketers need to visualize a program’s progress to resolve hangups, tweak and optimize design and Call To Action elements. Like all other marketing initiatives, referral programs need to be monitored. Additionally, you can also connect your sales team with referral analytics so they can launch their sales and follow-up efforts at exactly at the right time. Transparency is an important ingredient in referral marketing success. You need to be transparent to your employees and consumers. A large percentage of people distrust brands, and according to Edelman’s Trust Barometer, the trust in brands is declining. Badly executed marketing campaigns with false promises and misrepresentation of reality have begun to affect the way people regard commercial relationships. To build trust in today’s age, brands need to be explicitly transparent in their marketing and sales communication.